The appeal of ordering food online is obvious — it’s easy, you don’t have to talk to anyone and it’s perhaps less likely that your order will get screwed up with the list of toppings, extras or instructions entered in with your own two hands. But summoning grub with the touch of a button, especially ordering pizza, really stacks up the calories and drains the wallet, a new study says. According to a paper in the upcoming edition of the journal Management Science, folks eat more calories and spend more money when they order food online. Because isn’t it easier to order 14 pizza toppings when you don’t have to admit when you’re doing out loud to a human being on the phone? Researchers at the business schools of the University of Toronto, Duke University and the National University of Singapore tell us what we already know: we act more freely on our food desires when there’s no social norms to get in the way like they do when we call someone on the phone to discuss the matter of food. Pizza is especially attractive online or with apps like Seamless and GrubHub — it’s like it’s saying, “Go on, honey. Get the extra cheese. And add bacon, pepperoni, sausage, ham and pineapple while you’re at it. I won’t judge you. I’m here for you. You want me. I want you.” You get it. That all adds up to calories and money. “When we think we’re free from social judgments, we’ll order what we really want,” Ryan McDevitt, an economics professor at Duke’s Fuqua Graduate School of Business told the Huffington Post. He came up with the idea for the study after talking to a childhood friend who owns a pizza chain in North Carolina. His pal said customers were coming up with crazy pies online, with at least a few over-the-top orders a day coming in over the internet. He let the researchers study his chain’s ordering data between 2007 and 2011, consisting of about 160,000 orders from 56,000 households. The researchers then compared orders made online and over the phone from the same households, and found that the internet orders came with 14% more special instructions — combining or dividing toppings — and had 3.5% more calories than phone orders. Though you might think apps and websites make it easier to tack on the toppings or get creative, researchers said in this case, the restaurant’s website was pretty simple and didn’t look much different from its printed menu. 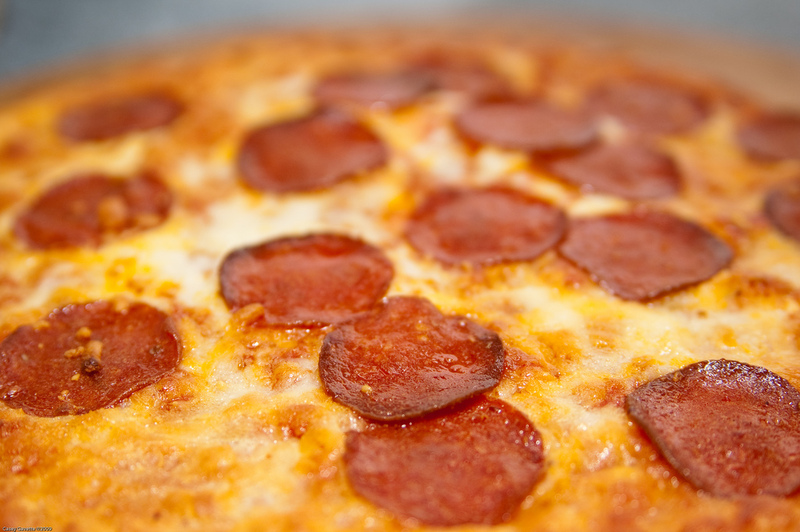 And as for using online ordering to ensure a correct order, that didn’t hold up here, either: McDevitt said customers were more likely to ask for double pepperoni online than on the phone, though there’s nothing particularly confusing about “double pepperoni” said on the phone. The difference is, no one can hear the shame in your voice when you’re ordering online. But let’s be clear, friends: There is no shame in loving pizza.